The Holiday Inn Express Hotel of Clemmons is ideal for business and leisure travelers who are looking for a great hotel that's easy on the budget. 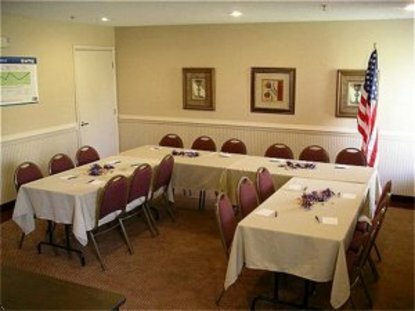 We are an interior corridor hotel conveniently located off of I-40 at exit 184. We offer a complimentary deluxe breakfast bar and complimentary newspapers Mon-Fri. We also feature wireless Internet access, a meeting room (32), bus/truck parking, card key locks and free local calls. Additionally, Peak Fitness is nearby as well as golfing. This hotel is committed to providing accessible facilities under the American Disabilities Act. If your accessibility needs are not met, please contact the Hotel Manager on Duty. Should you require additional information regarding accessible facilities for guests with disabilities, please call 1-800-Holiday (U.S. and Canada) or contact the hotel directly. For the hearing impaired, TDD service is available at 1-800-238-5544 within the U.S. and Canada.